May, 1968 — The one thing all soldiers looked forward to when they arrived in Vietnam, particularly those with an MOS of 11 Bravo (Light Weapons Infantry), was their DEROS date, Date Eligible for Return from Over Seas. We served our duty and survived, even though we may have physical and/or emotional wounds. 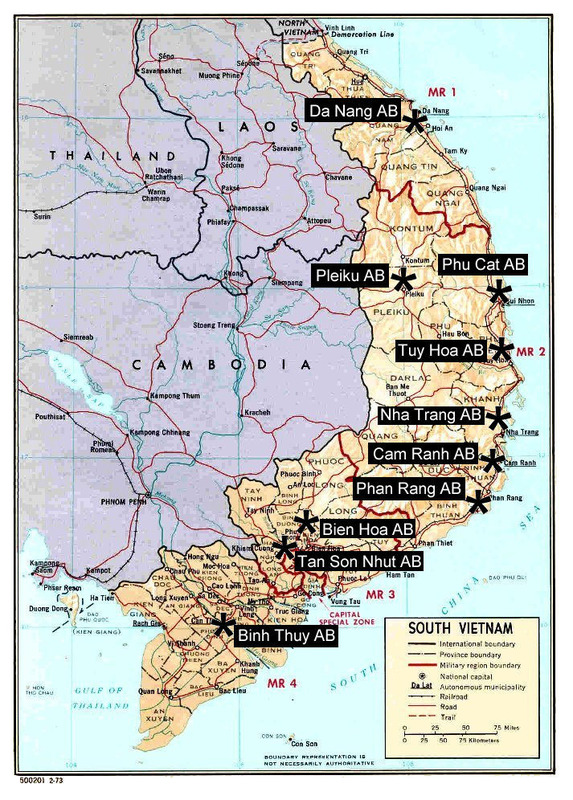 Most of the physical wounds can be seen and treated immediately, but the emotional wounds can’t be seen, and they may not be noticed until years after we left Vietnam. Many of the emotional wounds were never treated because the soldier may not have known the problem existed, or they knew they had a problem but no one would acknowledge or treat it properly. I was originally notified with Special Orders Number 97 dated 6 April 1968 that my DEROS date would be 24 May 68, and that I was being assigned to the 1st Bn 41st Infantry at Fort Hood, Texas. However, a short time later, I received a form HQ CAV FL 22 (3 Apr 67), which was titled AVDAAG, Subject: Port Call – Air Travel. This form constituted an amendment to my orders, and I was then ordered to report to the 22nd Repl Bn VCR, AB in Cam Ranh Bay not later than 0230 on 20 May 68 for departure on Military Air Command (MAC) flight number N254 to depart at 0230 on 21 May 68. I was very happy to leave sooner, even though it was only three days earlier than my original DEROS date. I arrived at the Replacement Battalion at approximately 1500 on 19 May 68. Shortly after my arrival, I purchased my ticket for my flight from Seattle, Washington to Love field in Dallas, primarily because the representative of World Wide Travel told me that it would be cheaper to buy my ticket in Vietnam because I would not have to pay any tax for the ticket. More importantly, I saw Edward House and we stayed together until we boarded the plane. Neither one of us got much sleep the first night because we were terribly excited that we were leaving Vietnam in less than 36 hours. We got virtually no sleep the second night because we had to board the plane at 0200 hours. We boarded MAC flight number N254 on schedule, and Edward House, Larry Nunn and I sat in the same row of seats, just like we did when we flew from Oakland to Pleiku one year earlier. We set down in our seats and were very excited that the day we had been looking forward to for the past 364 days had finally arrived. As I sat in my seat, I was hoping and praying that the VC or NVA would not attack the plane or runway with mortars or artillery. Then, after what seemed to be an eternity, the plane started moving and taxiing toward the runway for the takeoff. I began praying even harder because I didn’t want to get killed in the airplane while it was on the runway. The plane turned onto the runway and stopped while waiting for permission to takeoff. Then, the plane started moving and picking up speed, and I continued praying very hard because we were almost out of range for artillery shells. We picked up sufficient speed to take off and I could hear the wheels being raised and locked. I didn’t feel safe and out of danger for about five more minutes until I knew we were totally out of range of any hostile fire and on our way back to The World! Ed, Larry and I began talking, and I made up my mind that I was going to stay awake the entire trip back because I didn’t know when, or if I would ever see my two very good friends again. After about an hour, I fell asleep and I didn’t wake up until we made a refueling stop which, I believe, was in Japan. The stop was very brief and we did not deplane. After we took off, I made an effort to stay awake and talk, but I fell asleep again about an hour after takeoff. I just couldn’t stay awake because I had very little sleep during the previous two nights, and I had come down from being so keyed up and excited about leaving Vietnam. Also, we were in darkness from the time we left Vietnam until a little less than an hour before we landed at Fort Lewis, Washington. We landed at Fort Lewis at approximately 0600 on 21 May ’68, the date did not change because we crossed back over the International Date Line. When I deplaned and stepped on the runway, I bent over and put my hand on the ground because I was ecstatic to be back in the good ole U S of A. Now, I was looking forward to that wonderful steak meal we had heard would be served on our return. We didn’t get a steak, we were fed eggs and pancakes, but that was fine with me because I wanted to get to the Seattle airport and on my plane home as soon as humanly possible. Since we wore jungle fatigues and boots on the plane home, we were issued a set of dress greens, a necktie, a pair of dress shoes and socks, a blue infantry shoulder rope, and a rain coat. They also sewed our 1st Cav patch and our rank insignia on the coat. I boarded my plane, and we made a short flight for a stopover in Portland, Oregon. We took off within 30 minutes of the time we landed, and we were now on our way for a non-stop fight to Love field in Dallas! One thing I noticed was all the other passengers were getting soft drinks and the stewardess was taking their liquor orders. However, she didn’t offer me a soft drink, and didn’t ask if I wanted any liquor. I finally had to ask for a coke, and the stewardess was very curt and rude when she finally brought it to me. The same thing happened when they started serving the lunch meal. All the other passengers got their lunch, and I had to ask for mine, and I got a very rude and hostile comment when my plate was delivered to me. Since the economy section of the plane was about one quarter full, the stewardess was not busy and had no reason not to serve me the same as she did for all the other passengers. The only difference between me and all the other passengers was that I was in my army uniform and all the other passengers were in civilian clothing. We landed in Dallas at about 1445 and I got off the plane and started walking toward the terminal and baggage claim area. Shortly after entering the terminal area, I was again the object of protestors who were yelling “Baby killer,” “Nazi dog,” “Hitler henchman” and a few other comments. They also threw some objects at me but, once again, none were hard enough to hurt when they hit me. I finally got to the baggage claim area and my wife was there waiting for me. She took a picture of me as soon as I was close to her. Since she was living with her parents while I was in the army, my wife took me to a hotel so we could get reacquainted. After a couple of hours, and a shower, I drove my car for the first time in one year. I drove to my parent’s house in Garland, which took about 15 minutes. As we arrived at the house I saw a big banner they had put over top of the garage door that said “Welcome Home Jerry.” I finally was able to be around people who loved me, were glad to see me, and who were glad that I was finally home and out of danger. All of the comments and actions of the protestors didn’t bother me when I first returned from Vietnam. While we were still in the army, all the Vietnam veterans always had the support of other veterans. We understood and cared for each other because we were the only people who really understood what we had endured while we were in Vietnam. Also, we had developed a bond that would last a lifetime. When we were discharged from the army, we all lost that connection and we were on our own. After a few years of negative reporting on television and in the newspapers, I began to get angry and depressed because most of the people in the United States had no idea of what was really going on in Vietnam, and what we had to endure. Also, when some people learned that I was a combat veteran, they distanced themselves from me and would have little or nothing to do with me. Welcome home soldier. You answered when your government called, you didn’t move to Canada or do something to yourself so you wouldn’t be called to serve. We all paid a price a lot higher than anyone, other than other Vietnam veterans, will ever care, understand, or appreciate. We gave up more than just the one year of our lives, we gave up our innocence and, in many cases, we lost our wives or girlfriends. We all came back with various degrees of trauma caused by what we had to do and what we saw, as well as gunshot, shrapnel, or other wounds to our bodies. We were deprived of the opportunity to live our lives in our own country and do the things we wanted to do, go to places we wanted to go, and eat the food we wanted to eat. We gave up all the pleasures of life for one year, not because we wanted to, but because our government told us we had to. 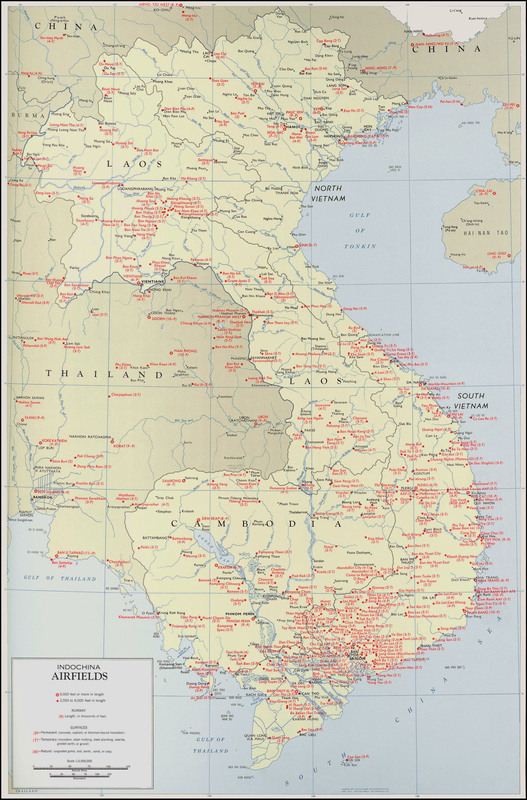 Cam Ranh Bay — see these maps showing its location: South Vietnam, USAF Air Bases; Indochina, Air Fields.